Molten lava erupting from the Kilauea Volcano on Hawaii's Big Island is creeping closer to a key geothermal power plant, as workers rush to shut down the facility to prevent a major release of toxic fumes. The Puna Geothermal Venture provides about 25 per cent of the island's power, and lava has crept to within 200 metres. On Saturday the volcano caused its first injury when erupting lava hit a man sitting on his balcony, shattering his leg. Marc Clawson went to help his neighbour and save his home from burning down. 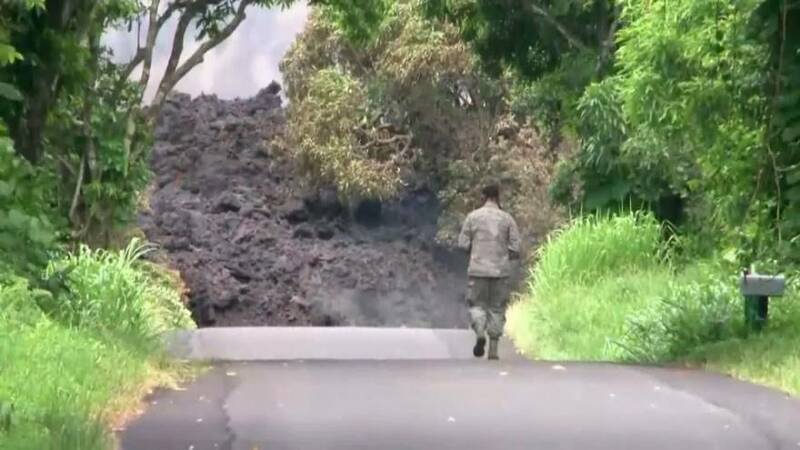 Geologists say the eruption is one of the biggest in 100 years.